These three are enjoying a bit of sunshine before their trip to New Jersey. 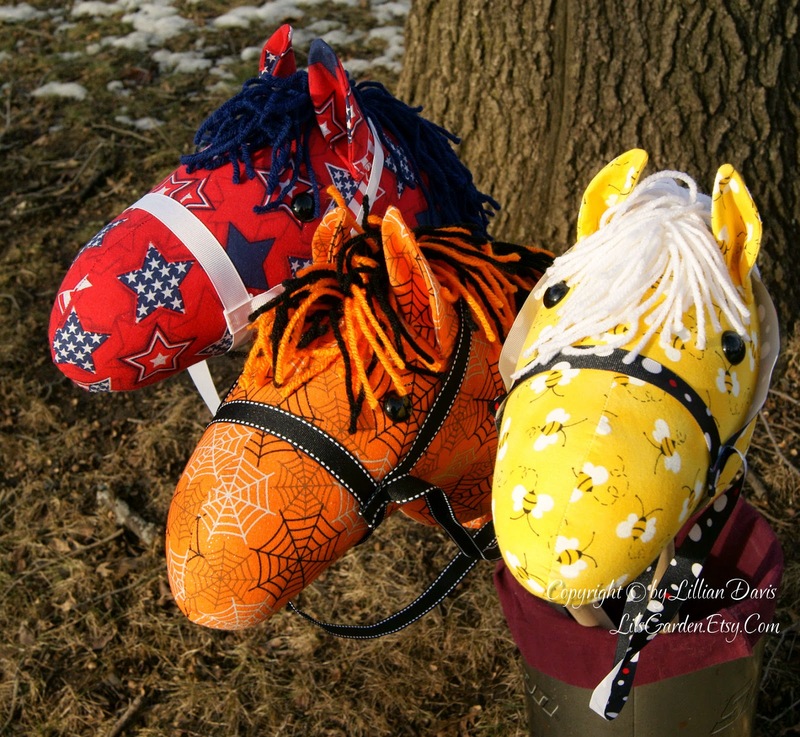 Check out this trio and the other handmade stick horses at my Etsy shop! 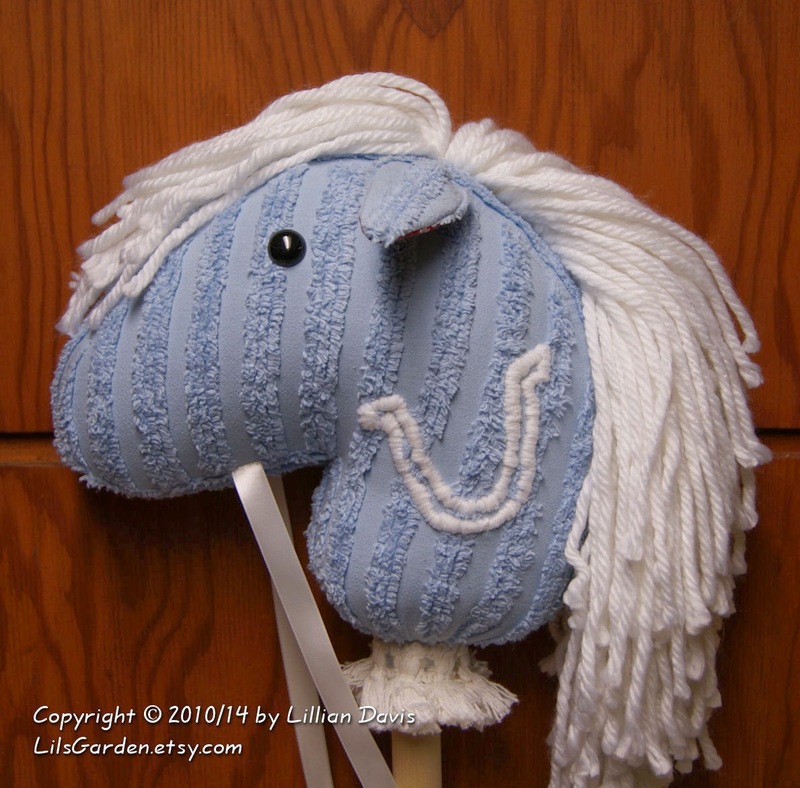 Here is a recreation of a lost horse for a little girl. It’s not one of my patterns but we were trying to replicate it as close to the original as possible, down to the chenille bedspread. It is not for sale. The Horse factory is now in full swing. I won’t be sleeping again until after Christmas! 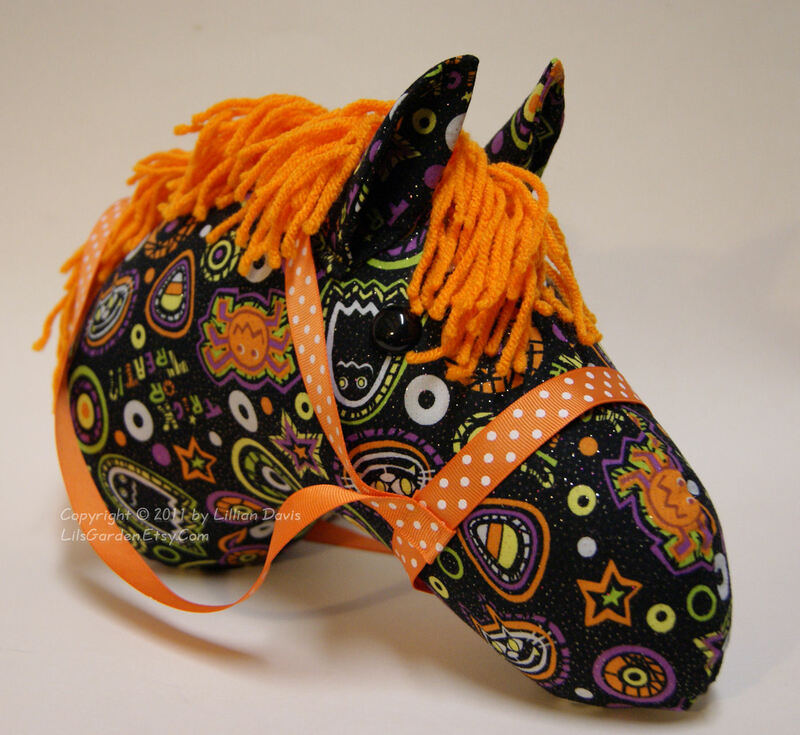 Pre Holiday Stick Horse Sale! 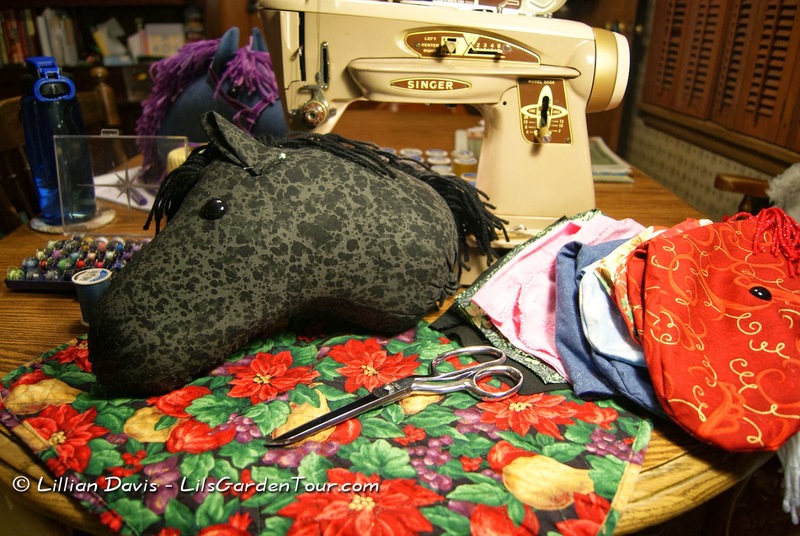 Lil’s Garden is Having a Pre-Holiday Horse Sale! Just type in this coupon code at check out at my Etsy site and save 10% on your whole order!